The flavors in this barrel aged gin are unreal! I’m very excited to try my hand at making some creative drinks with this Bag & String Wine Merchants exclusive from Buffalo’s Tommy Rotter Distillery! I just finished some pistachio gelato that I picked up today at Reverie Creamery. I tasted a few cheeses while I was at the shop, but aside from their main stock-in-trade I was really impressed with all the exclusive local products they’re selling. I should’ve gotten a photo of all the unique gelato and sorbet flavors, as well as the several styles of pickles and cornichons — but I’ll have to leave that for next visit. 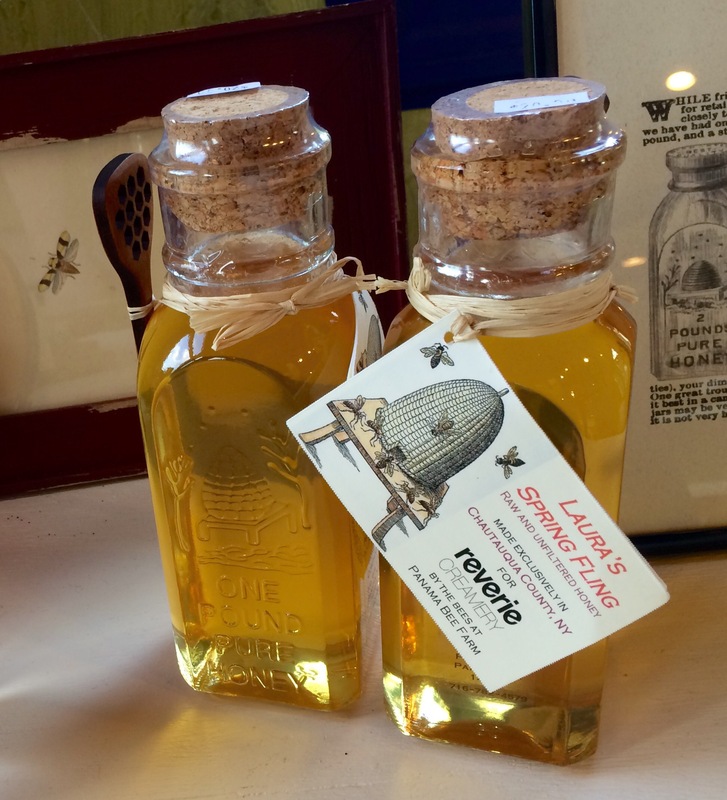 Just as with the locally-made items Reverie was stocking from makers within Chautauqua County, they also sold items from makers elsewhere in the state — like products by the Brooklyn Brine Company. I’d never seen or heard of “Whiskey Sour Pickles” or styles like Maple Bourbon Bread & Butter until my stop at Reverie yesterday. Founded by Riko Chandra and Jim Howard, Reverie is a newly established artisan cheesemaking company in Mayville, Chautauqua County, NY. 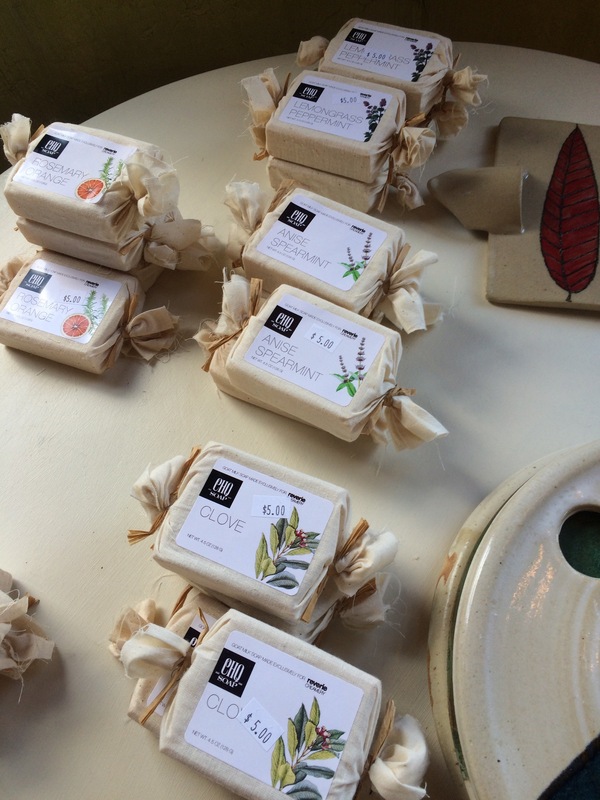 Initially, Reverie will focus on small batch production of artisan cheeses made from goat’s milk. 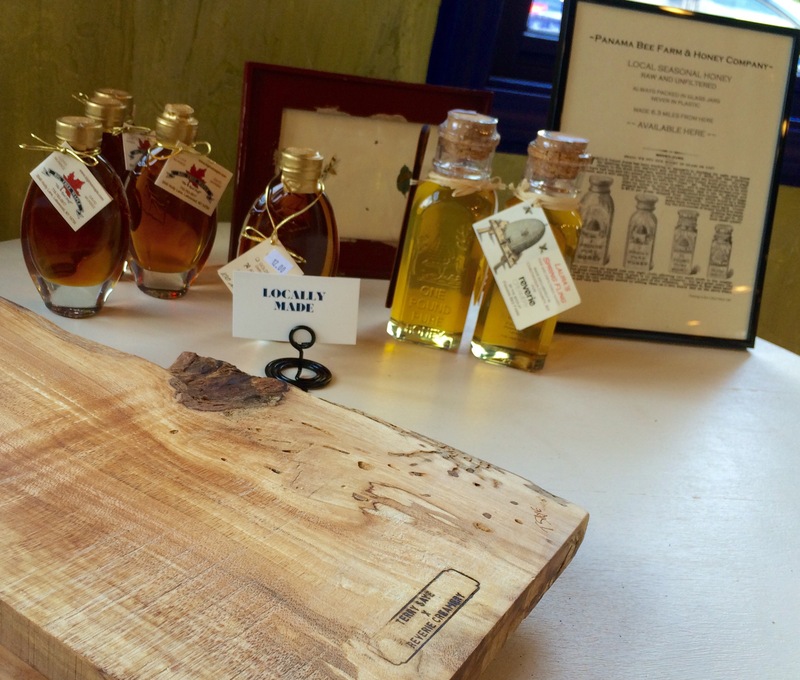 Our artisan products will reflect a meaningful relationship to the land and Western New York’s agricultural heritage through which we connect, experience and savor the flavors of our place and region. 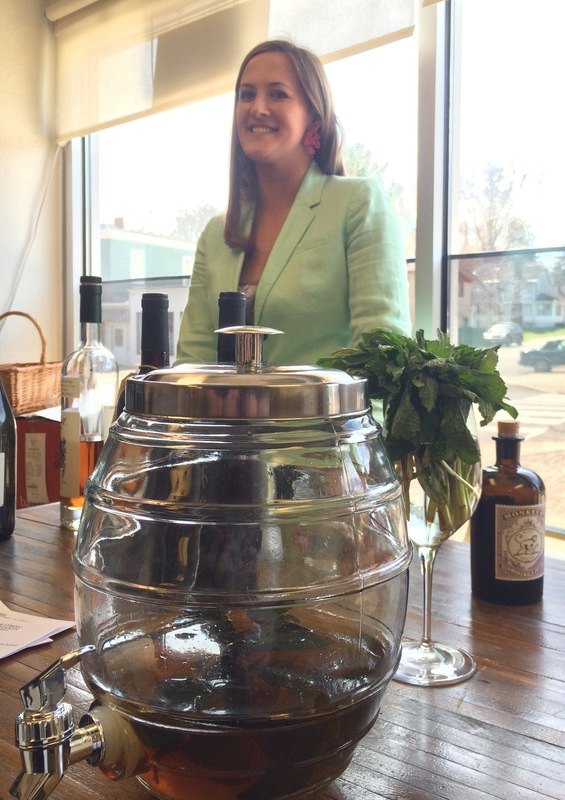 It was a whirlwind weekend for my wife and I, with the Rochester Cocktail Revival being the focus of my Saturday and Sunday. 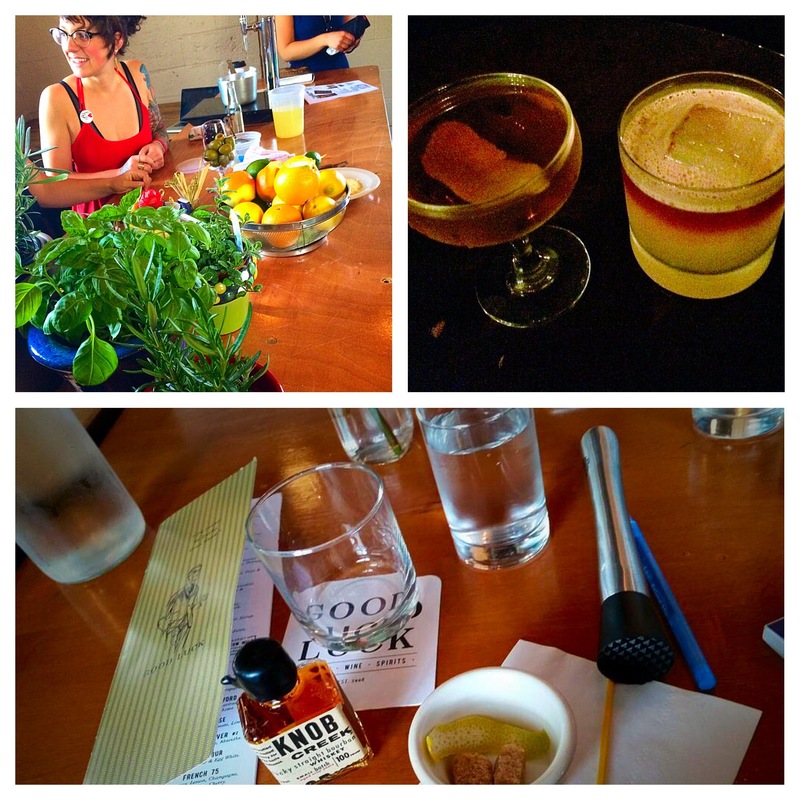 The Rochester Cocktail Revival started mid-week, but I wasn’t able to make it to the city until early Saturday morning. The first event I attended was Robert Simonson’s seminar on the Old Fashioned cocktail. A lot of the hour spent at Good Luck restaurant for the event was Simonson giving an overview of his book about the drink, with all of us mixing our own Old Fadhioned as he spoke. It was a great way to start my Saturday. Simonson was funny and informative. Dale DeGroff was in attendance. I drank the most delicious Old Fashioned I’ve ever had and I made it myself, for the most part. All the ingredients were laid out for us when we arrived and we just simply had to assemble the drink. I even waited around after the seminar and hassled Simonson for a photo, which he was nice enough to pose for and some fellow RCR-goers took for me. After the Old Fashioned session at Good Luck (and my wife’s visit to the Memorial Art Gallery), we headed over to Abode where RCR swag was being sold and the Queen City Shaken & Stirred “pop-up shop” was located. Abode was by far one of our favorite places of the trip. I bought bitters and browsed the cocktail books by writers who were speaking at the festival. And we bought a vintage piece of artwork they were selling at the shop. Plus it was by far some of the best customer service we got all weekend. The women working at the shop were helpful and pleasant and the shop just generally had a fun and lighthearted sort of energy. Afterward we went to the Lilac Festival and then later had drinks at Cheshire — the French 75, Black Walnut Toronto and Cosmopolitan’s Delight. We spent a short few minutes at Good Luck, but the place was bustling and had a more intense energy level than we were looking for on our Saturday night. I had a shot of Fernet-Branca and a free shot of Mister Katz’s Rock & Rye, which was the brand sponsor of the night. On Sunday I attended “The Art Atop The Tipple” seminar at Pour Coffee Parlor while my wife was at the George Eastman House. 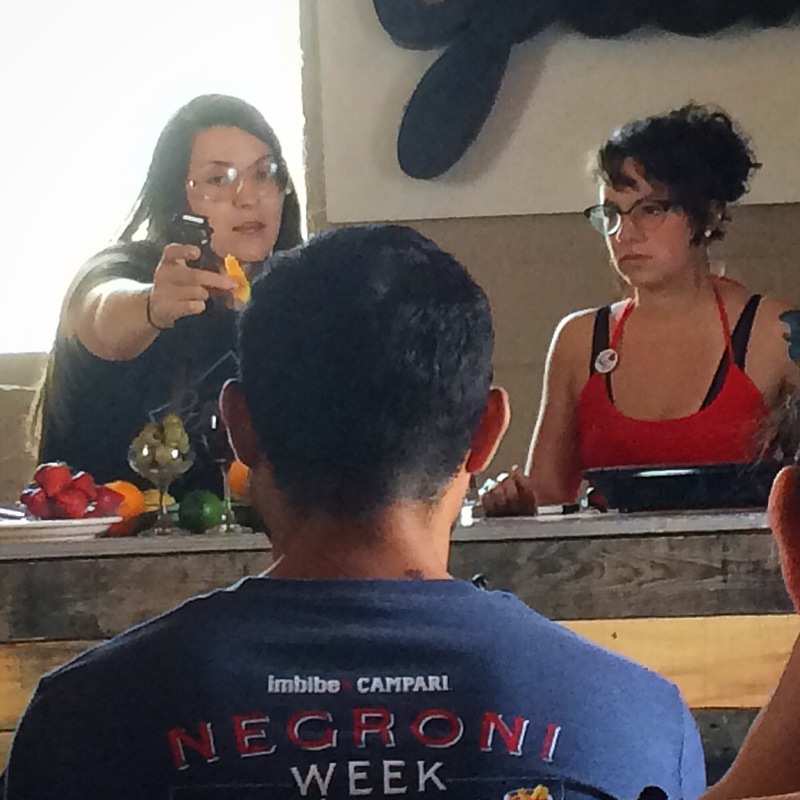 Yes, an hour-and-a-half long seminar on garnishes. During the event I tasted champagne which the bartenders running the seminar had turned into a solid, gelatinous form resembling the size and shape of caviar. It was an interesting event that was definitely worth attending, and the four speakers talked about traditional garnishes, artsy flourishes, molecular mixology, herbs, plants, growing seasons, simple syrup, shrubs and more. There was even an ISI Whip demonstration. 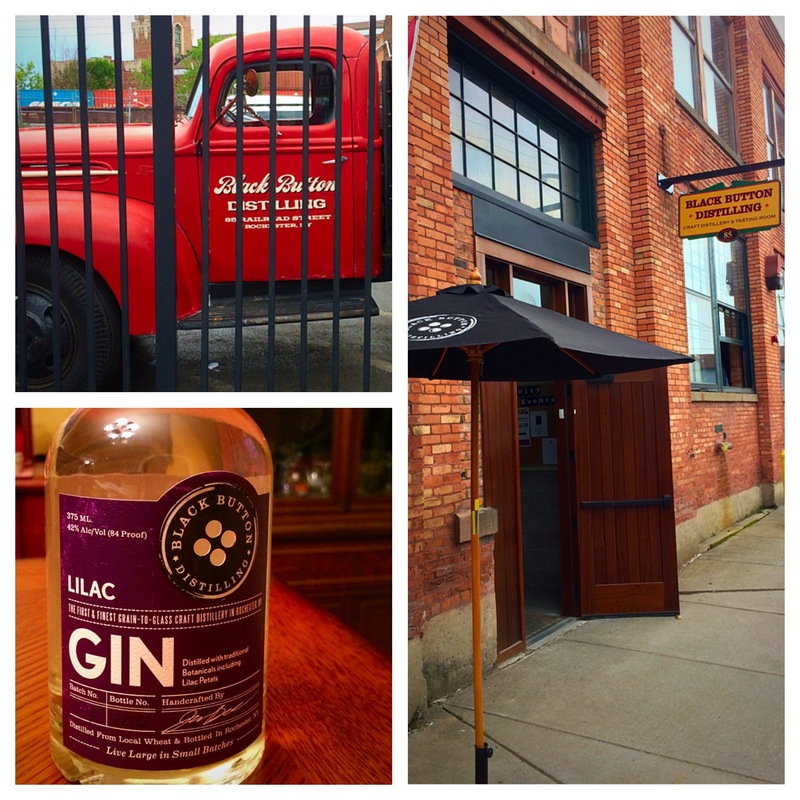 Afterward, my wife and I ate brunch on Park Ave. and then went to the “Farm To Shaker” tasting event at Black Button Distillery. 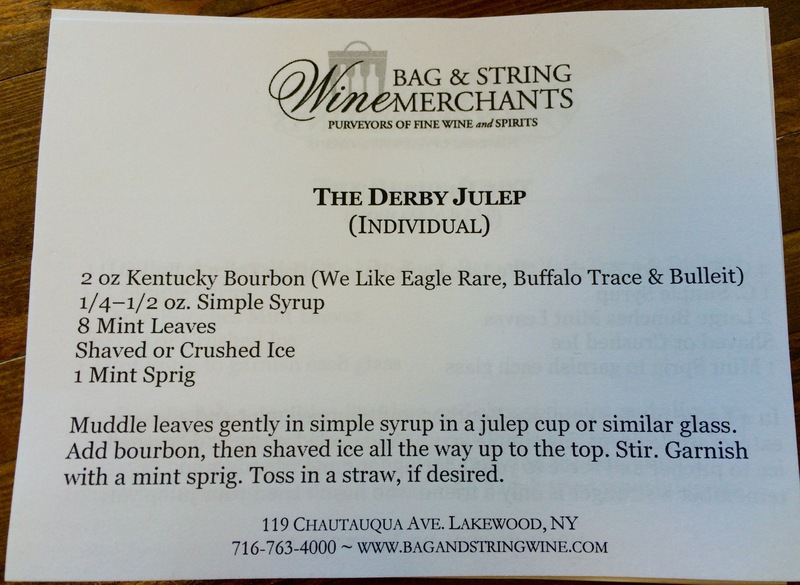 I just left Bag & String and today they’re sampling customers on Mint Juleps! 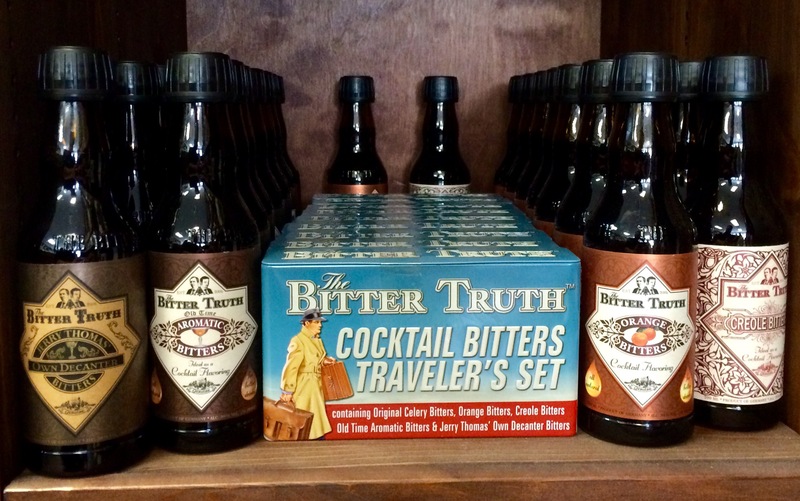 The tasting runs until 6 p.m. Stop on out! Thanks for hosting such a great tasting Samuel Whitmore, Betsy Goldman and Renee Zahm! 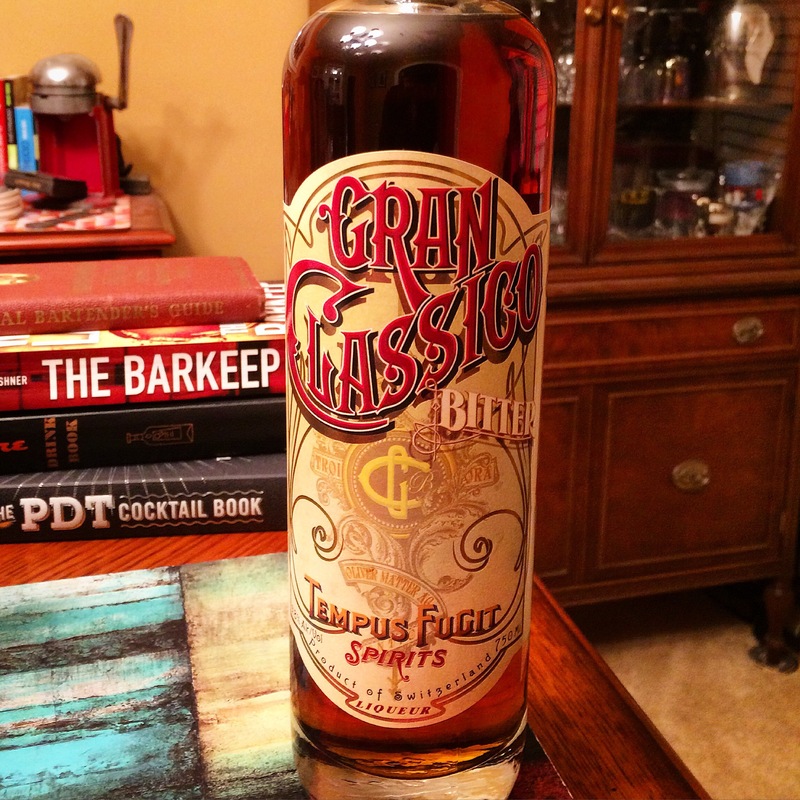 A local wine shop posted a picture online the other day that sent a few of my Facebook friends and I into full-on bourbon geek mode. Bag & String Wine Merchants in Lakewood are a boon to have in the area. They’ve got an amazing selection of not only wines but also great spirits. The staff are friendly and knowledgable and the shop goes the extra mile, doing tastings and a monthly wine club and more. And now they have three bottles of Pappy Van Winkle. In their Facebook post, the shop said it’d acquired three bottles from a private collector — the 12, 15 and 20 year expressions. Pappy Van Winkle is a brand of bourbon owned by the “Old Rip Van Winkle Distillery” company (which does not actually own or operate a distillery, but rather has it produced under a contract with another company). Pappy Van Winkle is distilled and bottled by the Sazerac Company at its Buffalo Trace Distillery. The brand is regarded as one of the finest bourbons in the world, and is rare to find on the market due to its very low production and high demand. Bag & String Wine Merchants is a boutique rare wine and liquor store with an emphasis on value and unique wines from around the globe. Our primary goals are to provide unparalleled service, wine education and a selection that meets consumers’ needs and budget. Bag & String Wine Merchants — Purveyors of fine wine and spirits. The shop is located at 119 Chautauqua Avenue in Lakewood,N.Y., just west of Jamestown. For more info visit the shop’a website online here.